One of my (non-marine) colleagues asked me what I was planning on doing with the cartload of samples I was hauling into the lab – so I decided to write a little here, explaining what it is we do when we sort the samples. The first step is of course to aquire said samples. 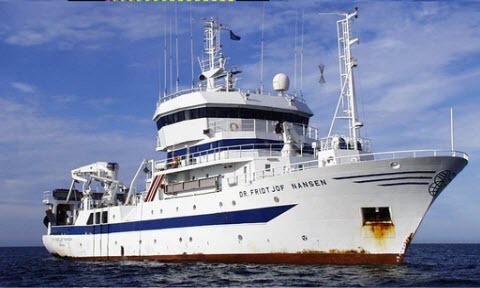 Ours have been collected from the West African continental shelf in agreement with the Guinea Current (GCLME) and Canary Current (CCLME) Large Marine Ecosystem projects. The sampling has been done by the R/V Dr. Fridjof Nansen. 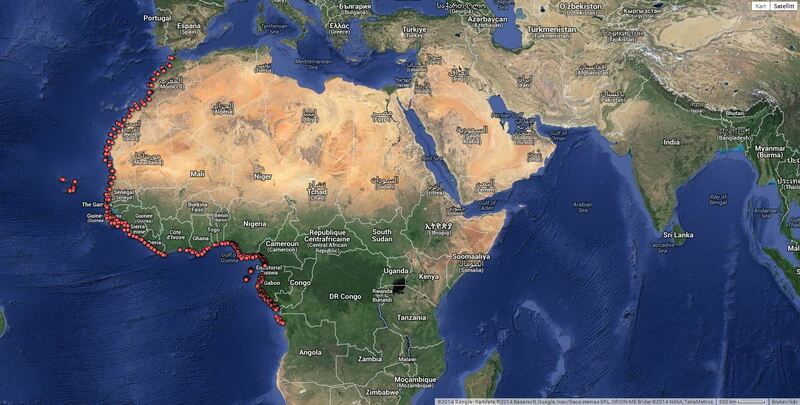 At present we house samples collected from close to 650 stations along the West African coast. 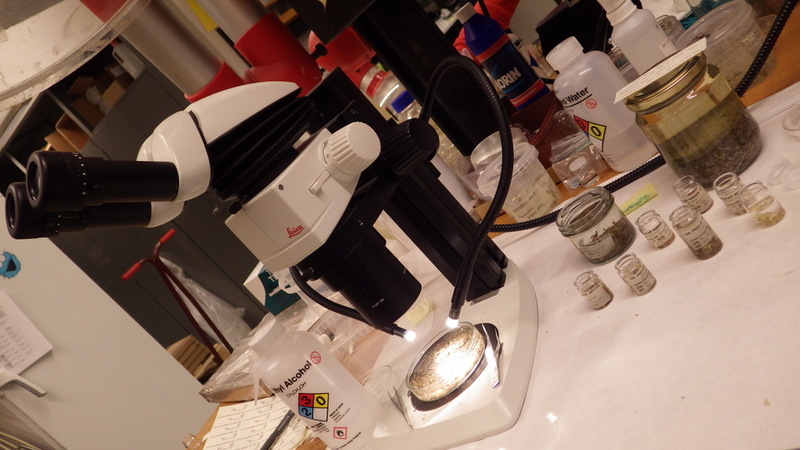 Once the samples have arrived at the University Museum, we begin the laborious process of identifying the fauna within. The first step is – rather obviously – to separate the animals from the sediment. Whilst doing this, we also do a rough sorting of the animals to what we call the main groups: Echinoderms, Crustaceans, Polychaeta, Mollusca and so on. 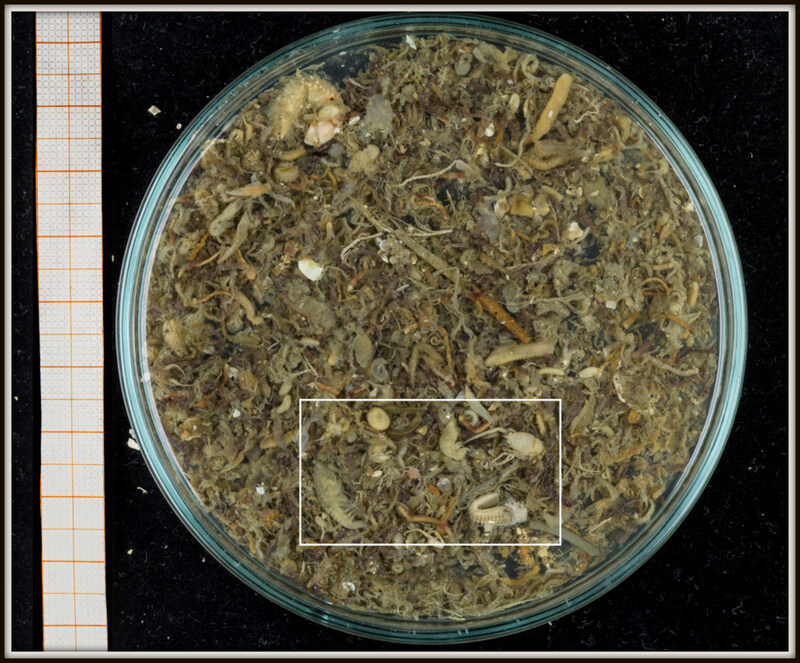 Below are some pictures from the processing of a sample collected by use of a sledge at 106 m depth in the waters of Senegal in 2011. 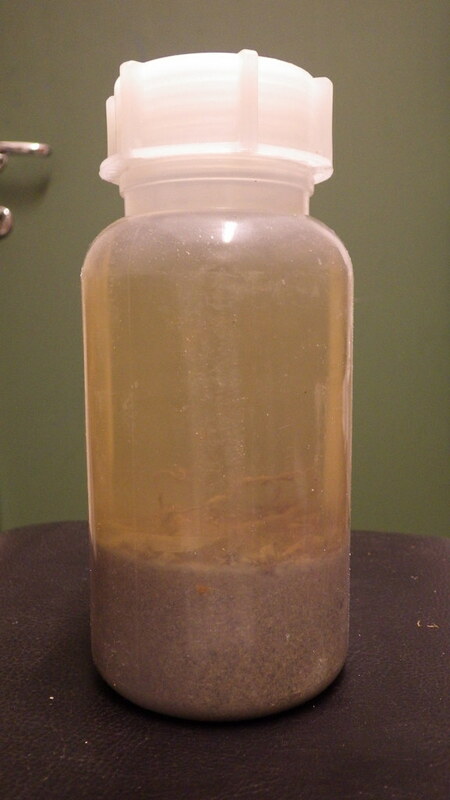 A 1 liter container of decanted (= the most animal rich part of the sample) sample – from the same station we will have several bottles with different fractions (decanted, 1 mm, 5 mm,…). Large or particularly conspicuos animals are picked out separately whilst processing the samples on board. Zooming in..my, that’s a lot of animals! 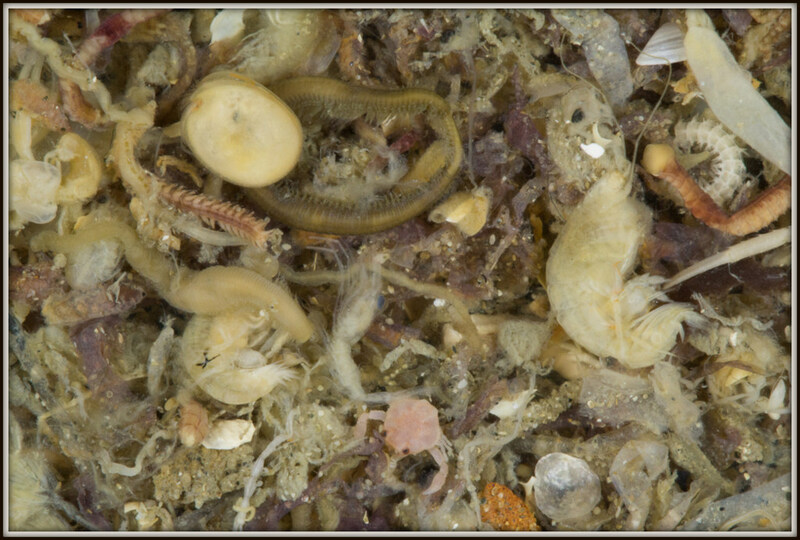 At a glance..Ostracoda, Galatheidae, a Ebalia (the pink crab), isopods, amphipods and a lot of polychaeta. Once the animals have been sorted to the main groups, they are passed on to the taxonomists, who will (do their best to) identify them to species. This is done to learn more about the rich species diversity of this region, and to compare it with the northern fauna. Some of the identified animals will be used as DNA barcode vouchers, helping us build a library of the genetic barcodes* of the marine invertebrates of western Africa. 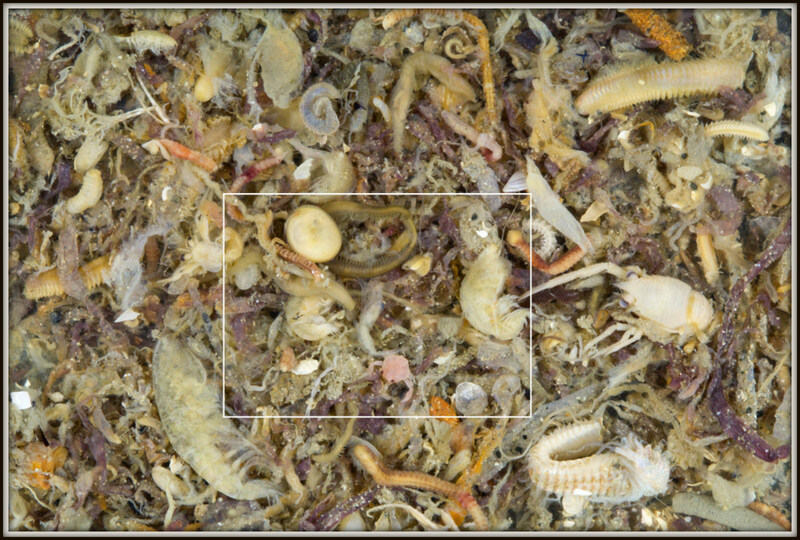 This entry was posted in BOLD, MIWA, sample sorting, species identification on March 7, 2014 by katrine.